Link Global are perfectly placed to handle your Norway contractor accounting. Structure your work arrangements with confidence using our internationally renowned accounting solutions. From early planning advice to emergency payroll for imminent work, and every step in between, Link Global provides expert contractor accounting solutions for Norway and worldwide. Link Global Management are perfectly placed to handle your Norway contractor accounting. Structure your work arrangements with confidence using our internationally renowned accounting solutions. From early planning advice to emergency payroll for imminent work, and every step in between, Link Global Management provides expert contractor accounting solutions for Norway and worldwide. Citizens of the EU and European Economic Area (EEA) countries (inc the UK) don’t need a work permit or to apply for a residence permit in Norway for a short time. Information about work permits and regulations for both EEA and non-EEA citizens are available directly from the Norwegian Directorate of Immigration (UDI). 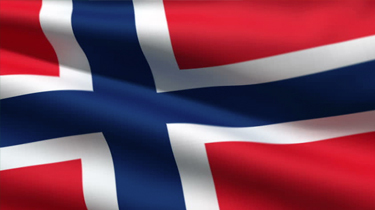 The Norwegian Labour and Welfare Administration (NAV) also gives information on work permits for individual countries. NAV handles all work-related issues and is a good resource when looking for a job. EEA nationals with a valid identity card or passport can legally reside and work in Norway without a visa for three months. The same applies to members of their family who are also EEA nationals. Skilled workers are exempt for six months. Expats from countries outside of the EU and EEA will have different processes to go through depending on the kind of work they want to do. Officially, expats applying for a work permit must already have found a job. Skilled workers are required to have either completed vocational training or a university degree, depending on their profession. There has to be a corresponding qualification in Norway. Permits are only granted based on experience in exceptional circumstances. Effective from 1 October 2009, EEA nationals no longer need to apply for residence permits in Norway. It is sufficient that they register on anival or make a preliminary registration online. EEA nationals need to register in Norway only if they intend to work and stay in Norway for more than three months. Link Global Management deducts tax and social security at source on a PAYE basis, and payments are made to the relevant authorities. You can reduce this taxable amount by offsetting some business expenses. Employers and employees, as well as self-employed individuals, must make social security contributions. Contributions are payable on all taxable salaries, wages and allowances and, for self-employed individuals, on personal income. Employers' contributions, payable bi-monthly, are deductible for income tax purposes. Employees' and self-employed individuals' contributions are not deductible. The 2017 contribution rates are 7.8% of salary for employees and 10.7% for self-employed persons. Expatriates and foreign employers of employees working in Norway are subject to these contributions if an exemption (or reduction) is not available under a social security convention between Norway and the country where the expatriate or the employer is domiciled. Thinking of contracting in Norway?